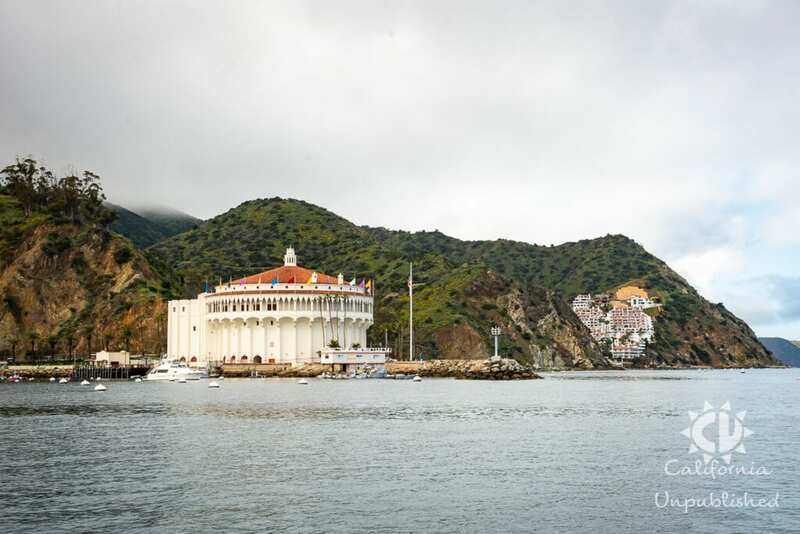 This is a sponsored post on behalf of Catalina Express and Visit Catalina Island. 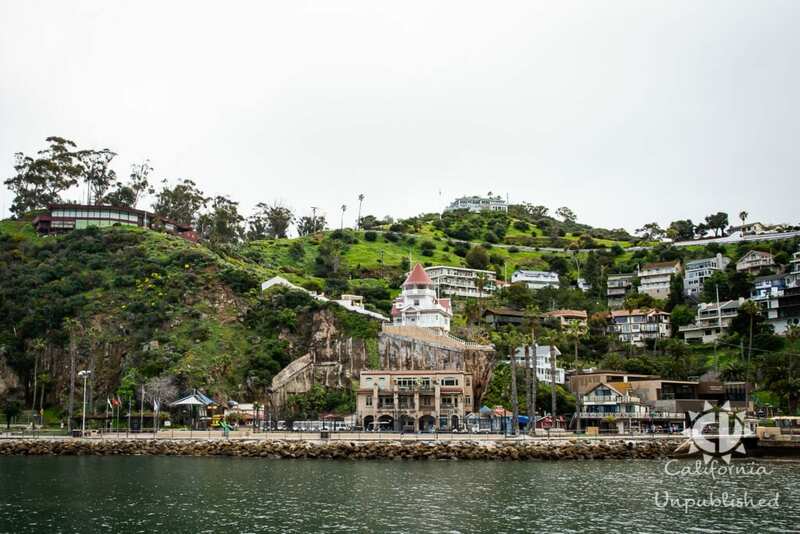 Santa Catalina Island lies southwest of Los Angeles and is one of California’s Channel Islands. 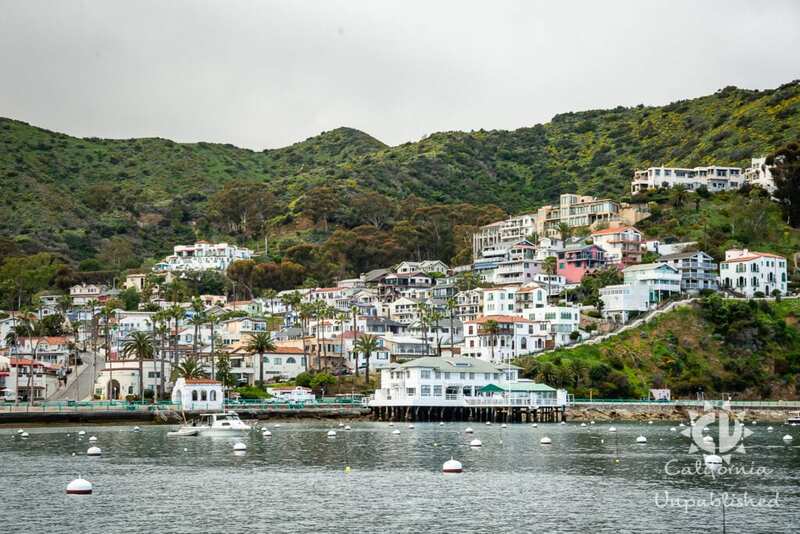 Known for its panoramic views of the Pacific Ocean and temperate tropical weather, Catalina Island offers year-round adventure and excitement for all ages. 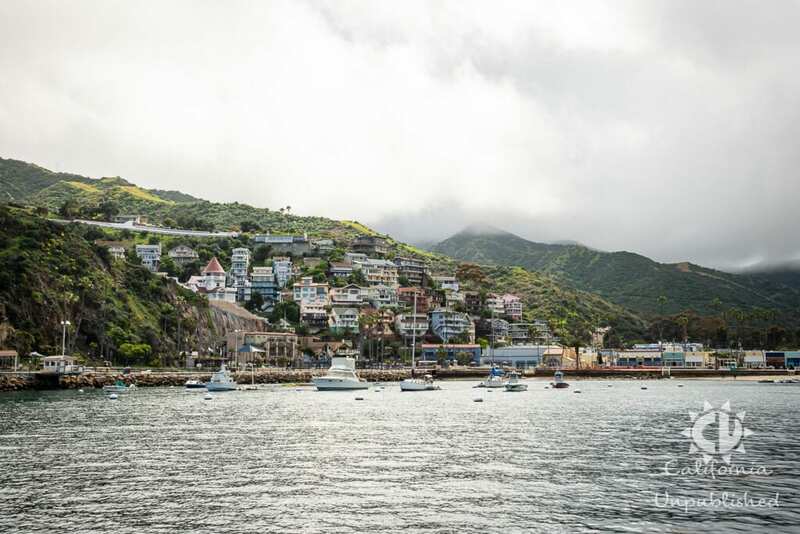 The island is home to two towns, the unincorporated town of Two Harbors to the north the city of Avalon to the south. 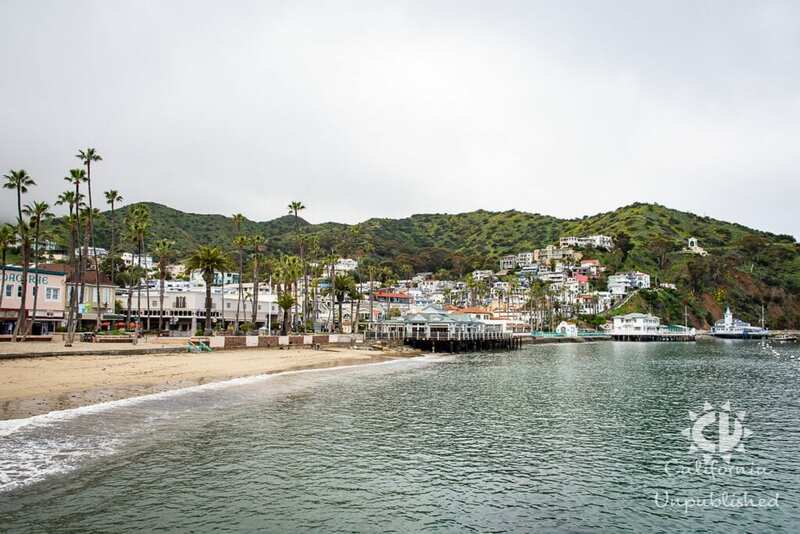 We spent a weekend in Avalon this past March and our children immediately designated Santa Catalina Island to be the ultimate family adventure getaway. 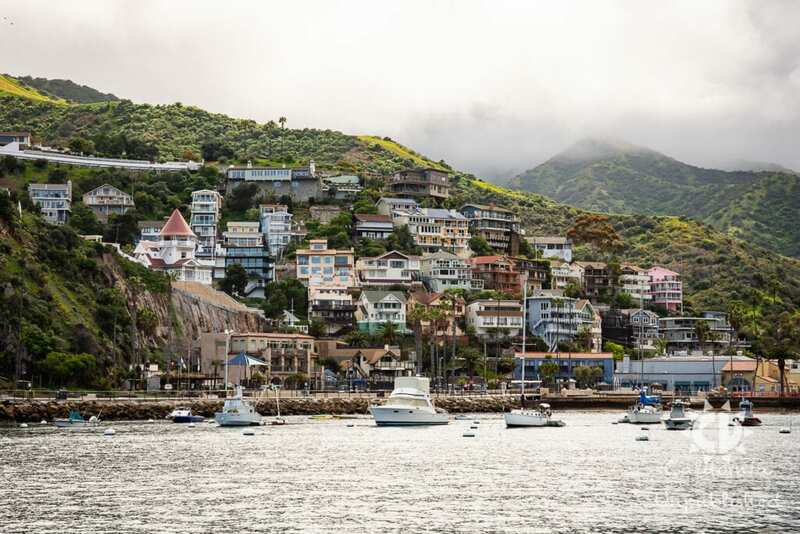 Get ready to be amazed at the kid-friendly charm Catalina Island has to offer. 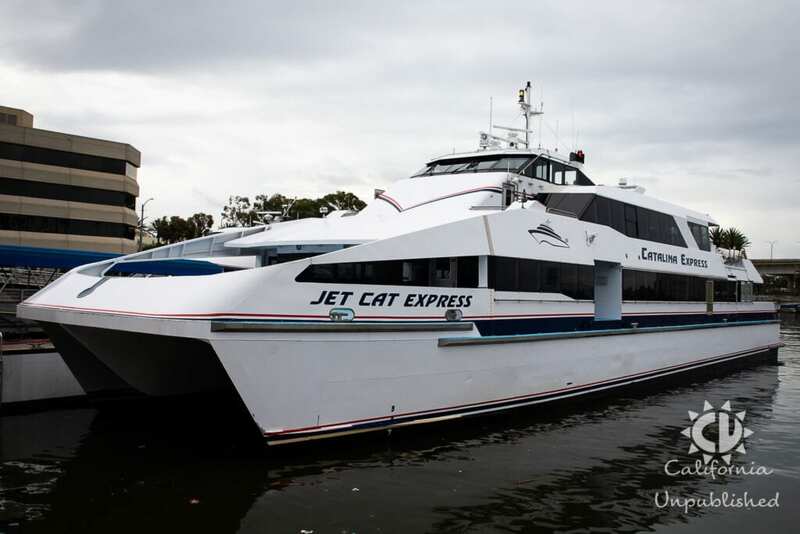 Our adventure began aboard the Catalina Express‘ Cat Jet Express, a high-speed catamaran designed specifically for comfort and speed, which departs from one of three port locations; San Pedro, Long Beach, and Dana Point. 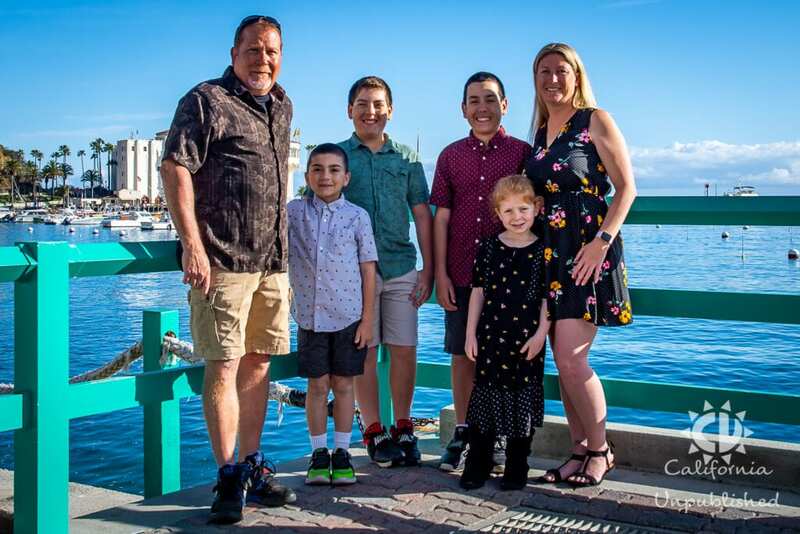 Accommodations aboard the vessel include airline-style cabin seating, grouped table seating, and outside upper deck seating, full bar, private restrooms, and wheelchair accessibility. 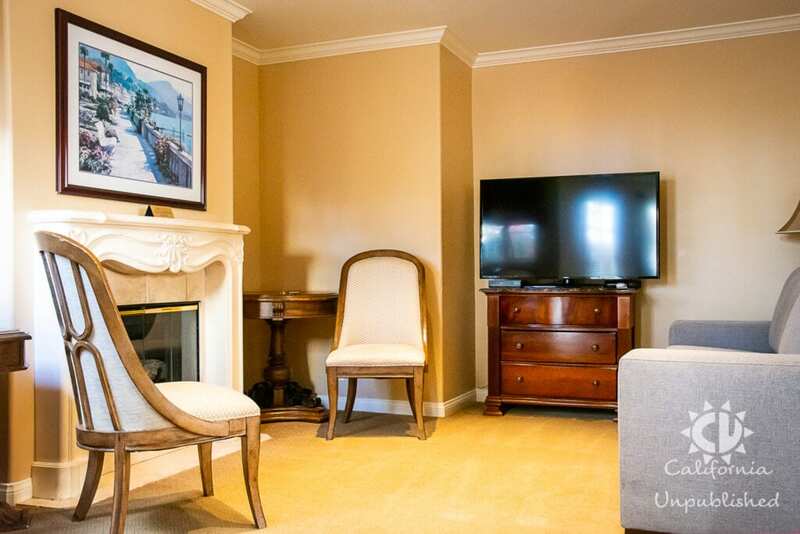 The Commodore Lounge features express check-in and boarding and complimentary beverage and snack, while the Captain's Lounge includes priority boarding, plush upgraded seating, and complimentary beverage. 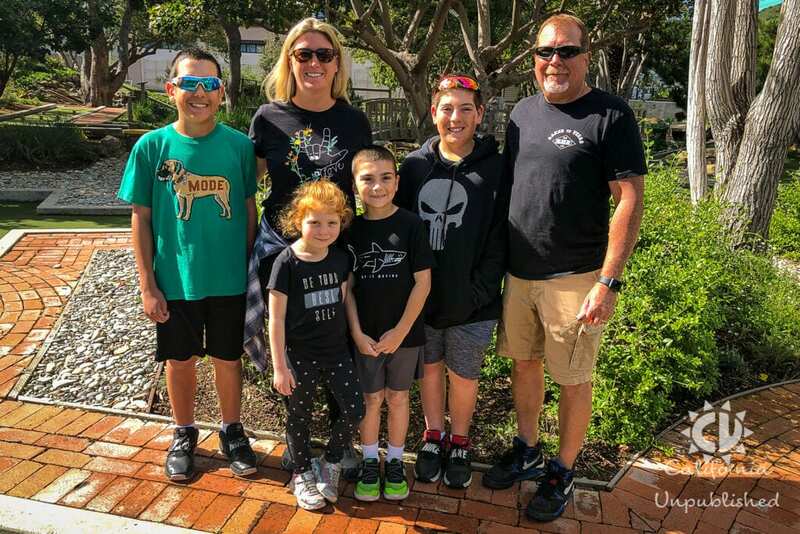 If you're like us and traveling with a large family, I highly suggest checking in 1-hour prior to departure. 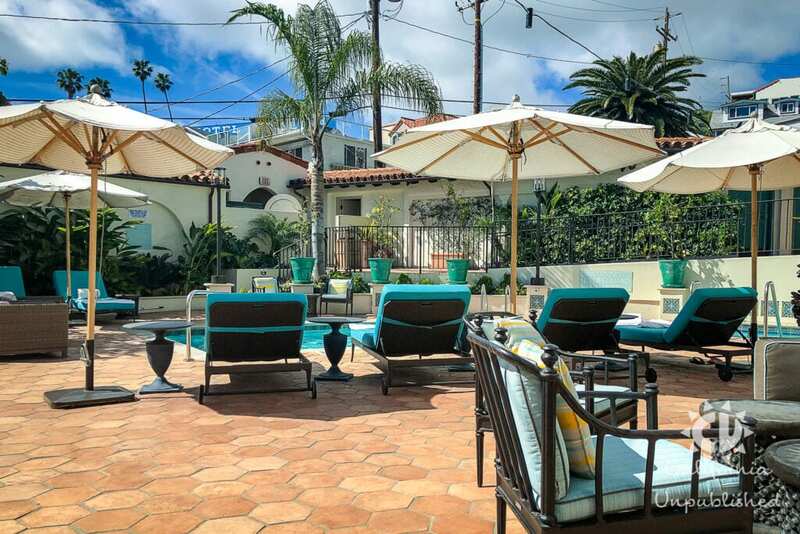 Then, head straight to the gate and grab your space in line to have the best opportunity to grab one of the coveted ocean view table seats. 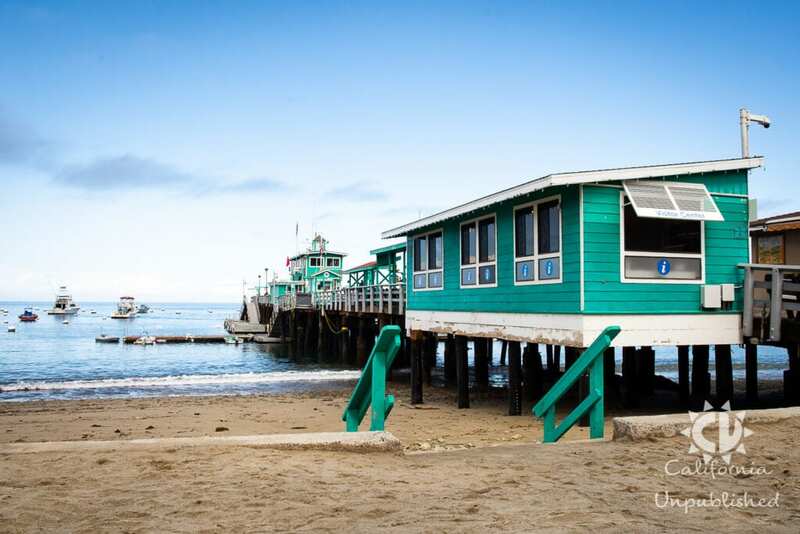 (Trust me, it's worth the wait in line). 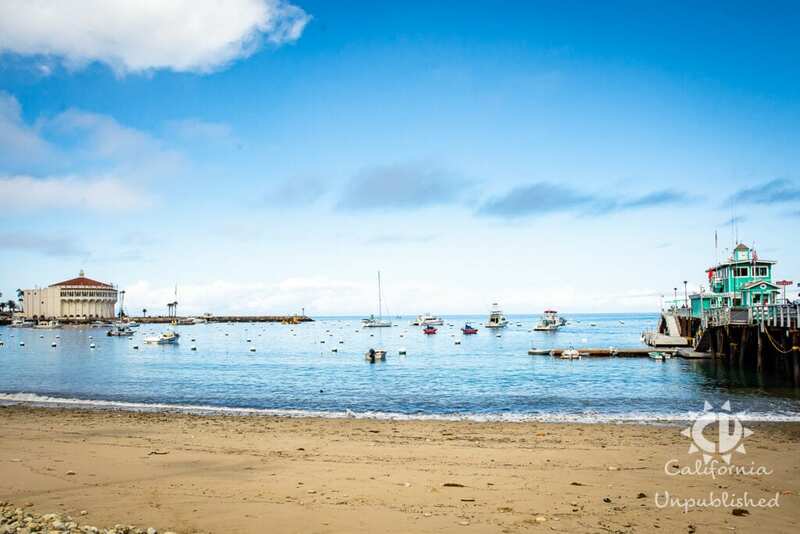 You never know what you'll see in the ocean. 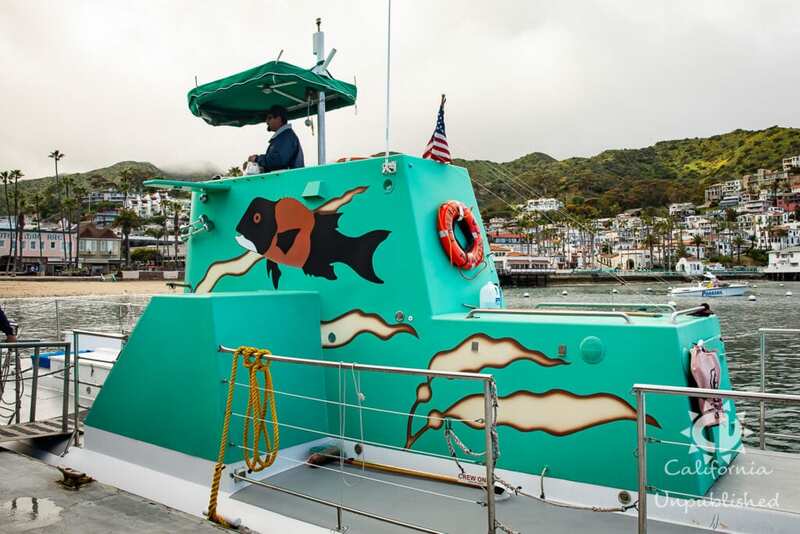 And for those of you who are worried about getting a little queasy on the ocean, each vessel features state-of-the-art stabilizers that smooth out 90 percent of the ocean roll. 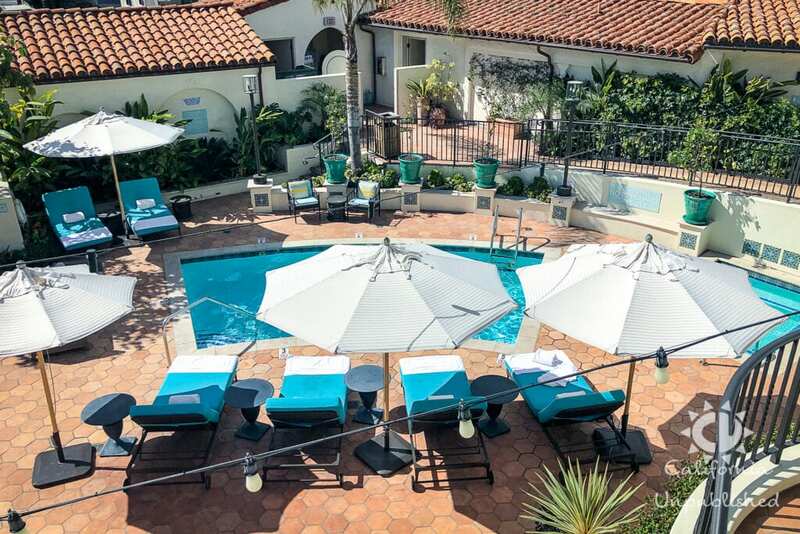 Overlooking Avalon Bay and just footsteps from the beach is the Portofino Hotel, a stunning Mediterranean-style hotel featuring ocean view suites and cozy rooms. 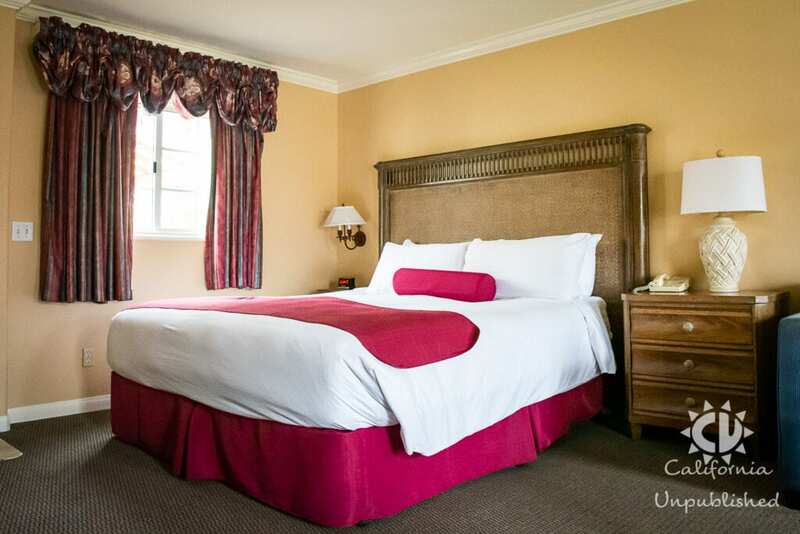 The European rooms and suites feature free WiFi, Cable TV, mini fridges, coffee makers, and many have plantation shutters opening onto the courtyard. 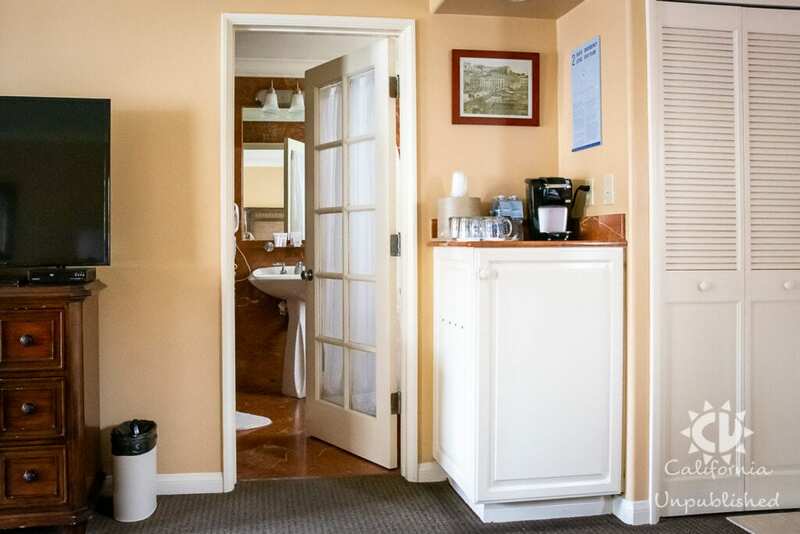 Suites add marble bathrooms with soaking tubs, wet bars, gas fireplaces, and balconies with an ocean or mountain view. 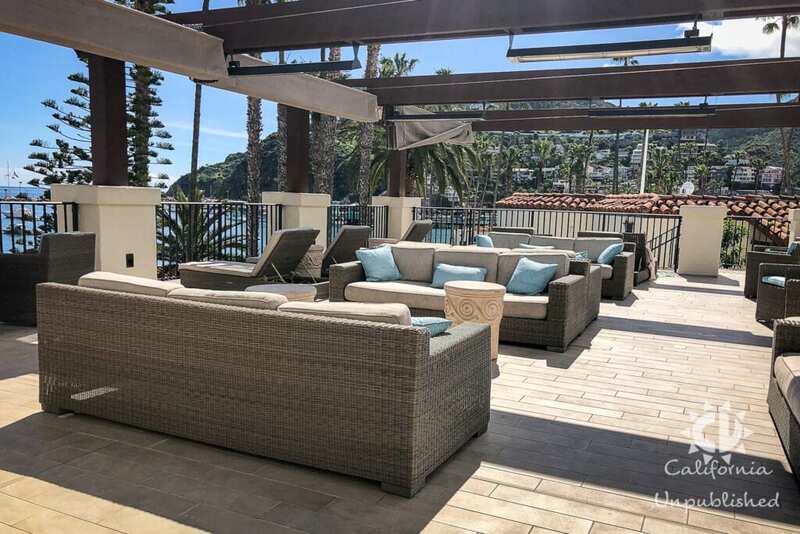 We had the luxury of staying in two suites at the Portofino Hotel directly across from each other, the Positano suite and the Sorrento Suite. 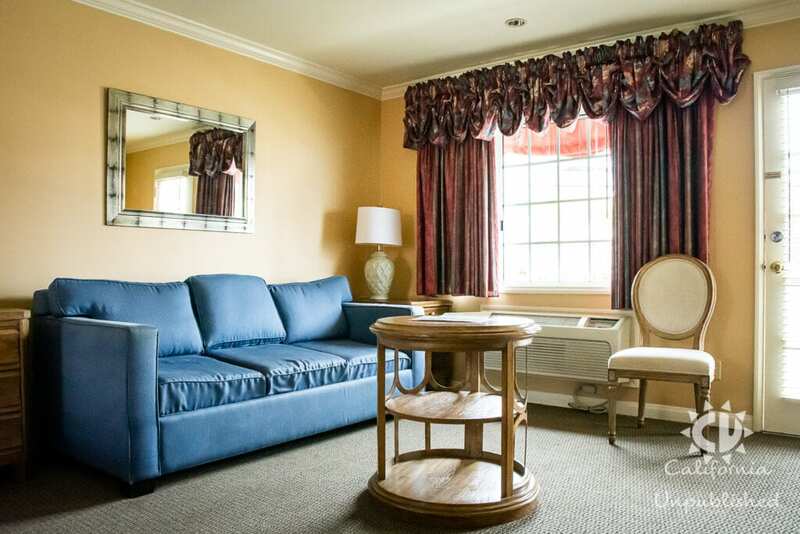 The Positano suite features a partial ocean view, king bed, living area with double sofa bed, gas fireplace, and balcony. 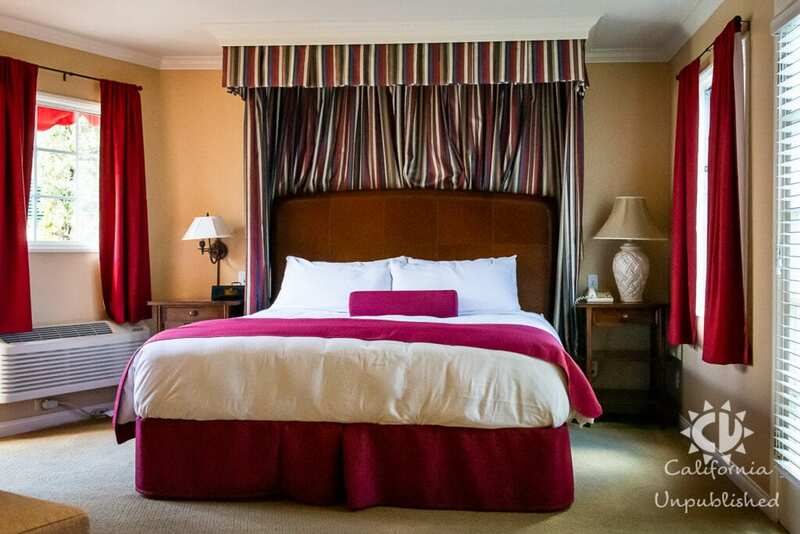 The Sorrento suite features a king bed, living area with double sofa bed, soaking tub, gas fireplace, and a private patio. 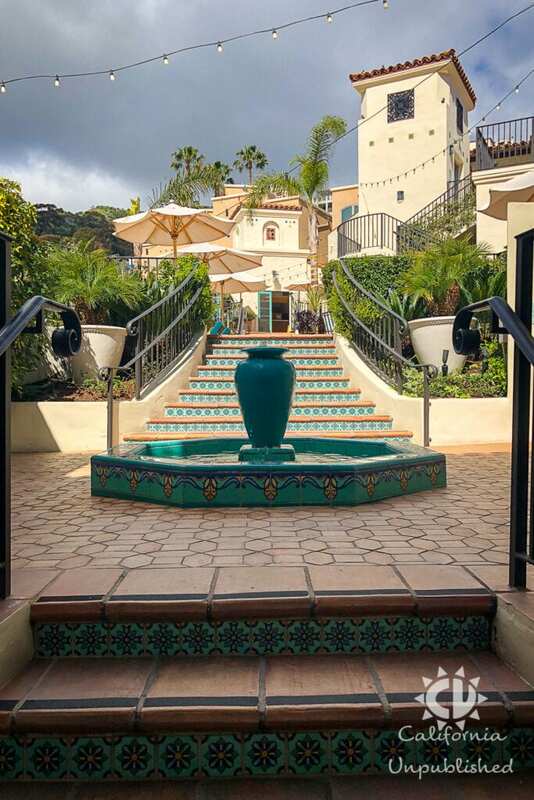 It is highly suggested that you bring luggage with wheels when staying at the Portofino Hotel on Catalina Island. 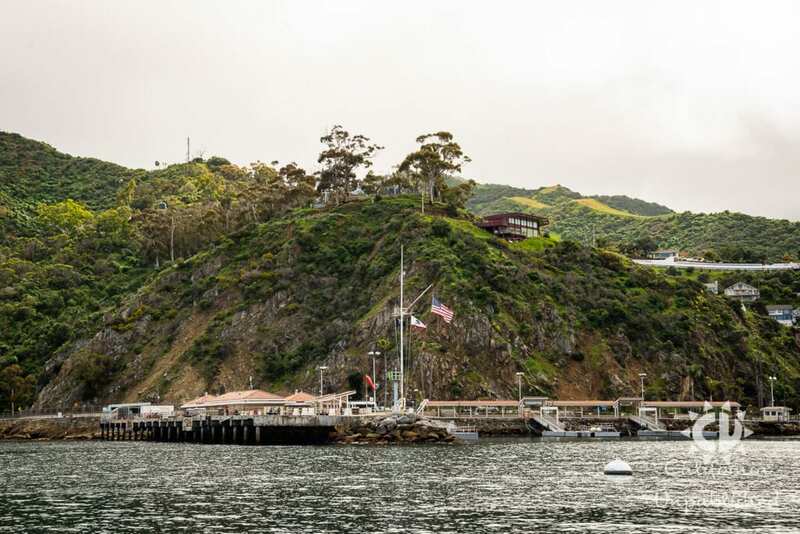 The hotel is a nine-minute walk from Ferry Terminal 2, where the Catalina Express docks. 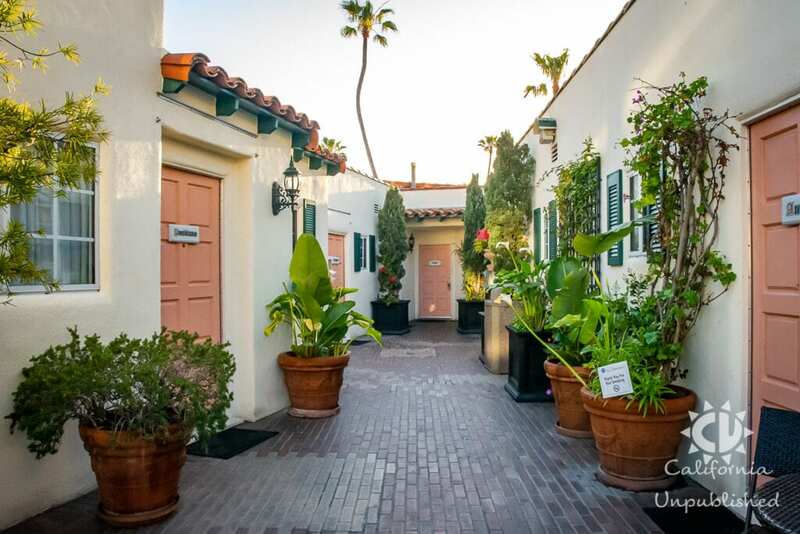 On your walk to the hotel, you'll get to check out the sights and sounds of Crescent Avenue, which turns into a pedestrian mall between Clarissa and Metropole Avenues. 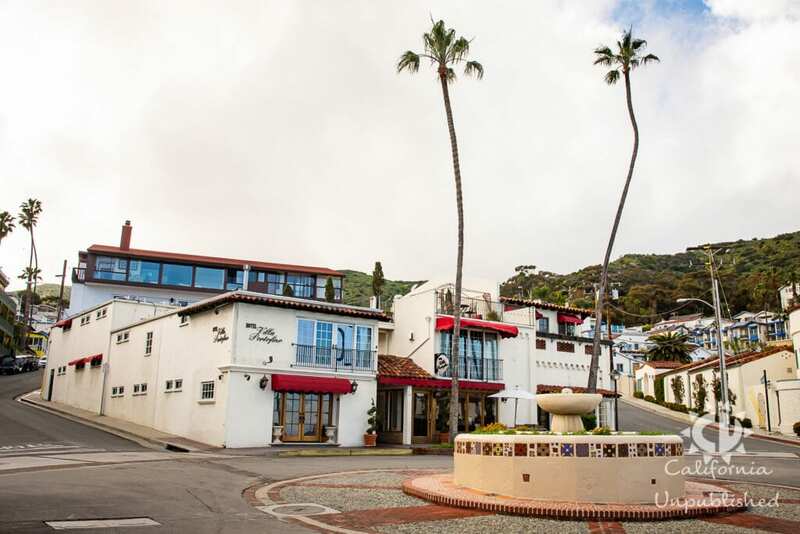 Off Crescent, you’ll find the town’s main beaches, numerous shops, the Catalina Casino, and a wide variety of restaurants. 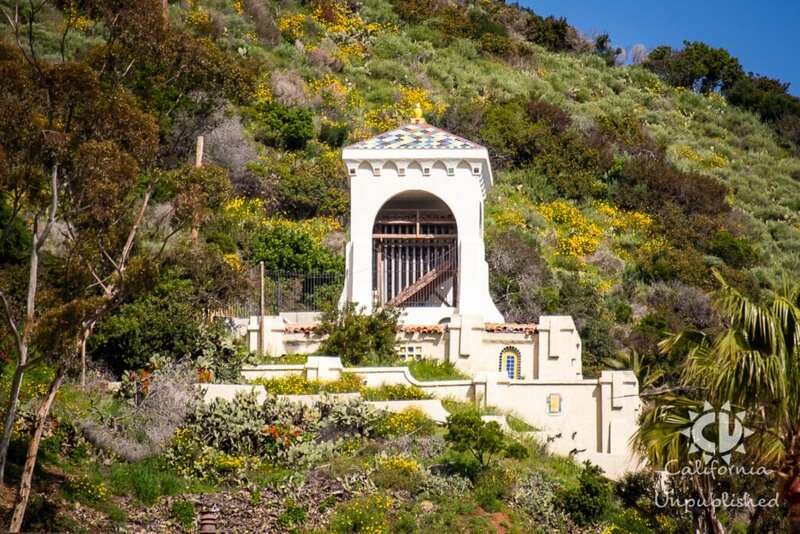 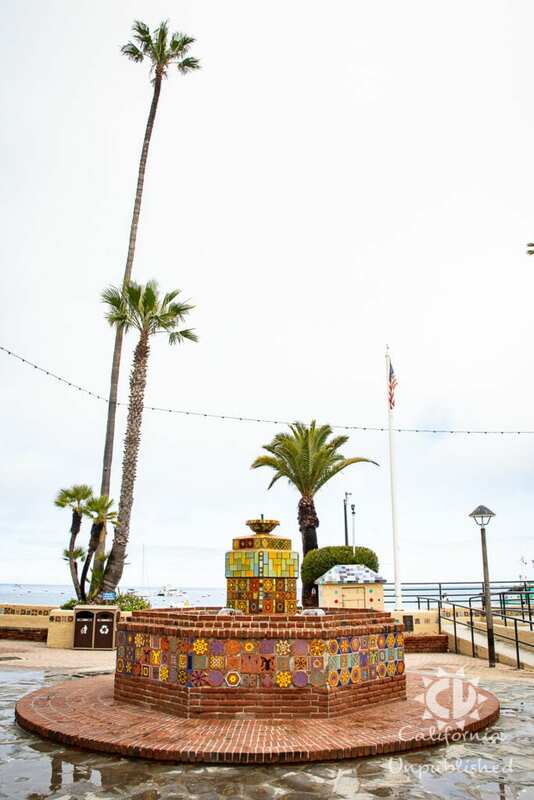 As you stroll through Avalon to the Portofino Hotel, keep an ear out for the landmark chimes you'll hear every 15-minutes from the Chimes Tower, a historic Spanish-style tower built in 1925. 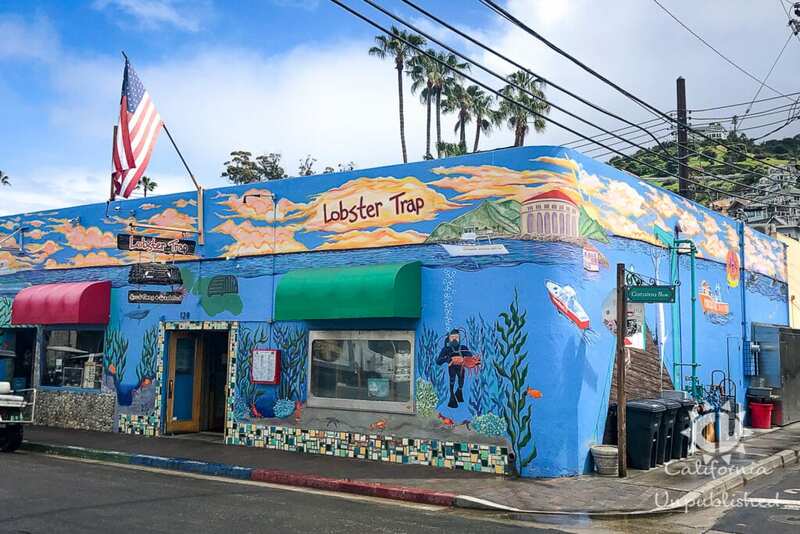 As you enter the Lobster Trap you won't believe your eyes when you catch a glimpse of the giant fish that hangs from the ceiling at this informal seafood eatery with a casual menu & vibe. 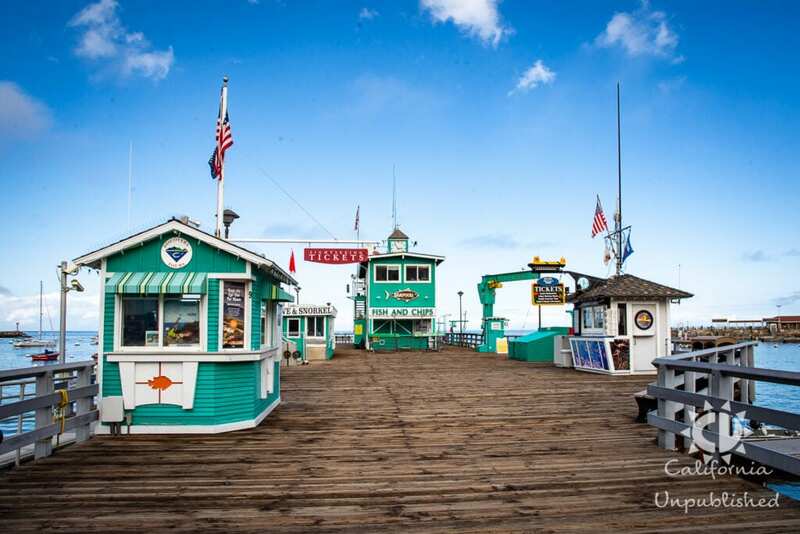 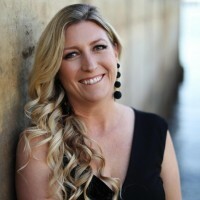 The restaurant features a full bar, fresh seafood, and is the place to come if you're looking for a great time. 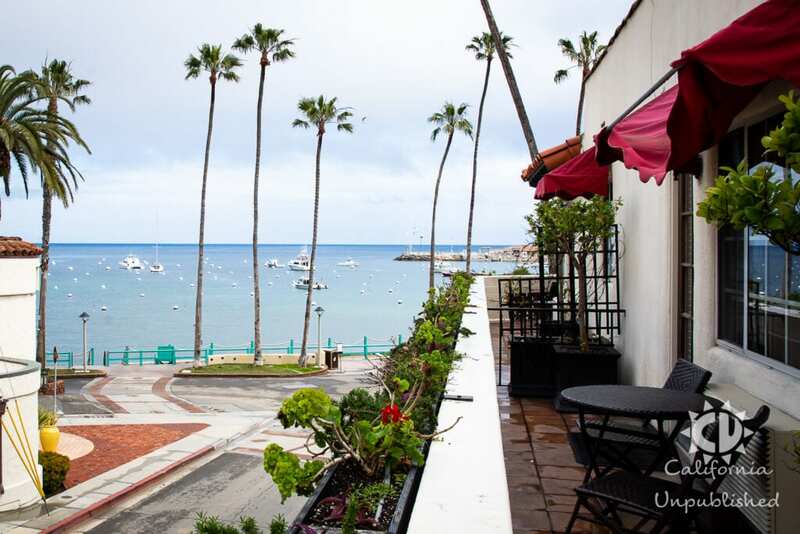 While they specialize in fresh seafood, caught daily off the coast of Santa Catalina Island, their menu offers a range of options to suit every palate making this one of our top place to dine for families. 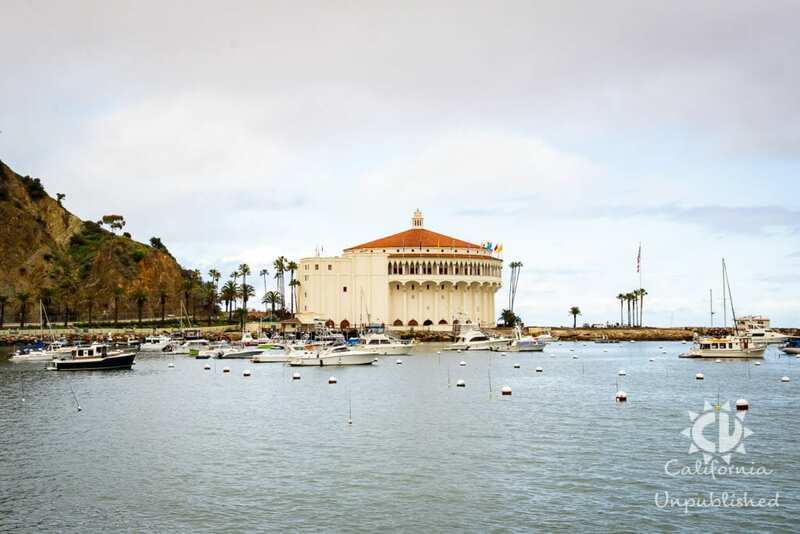 Bluewater Avalon is a popular, must-visit bistro located right on Avalon Bay, in the historic waterfront terminal building. 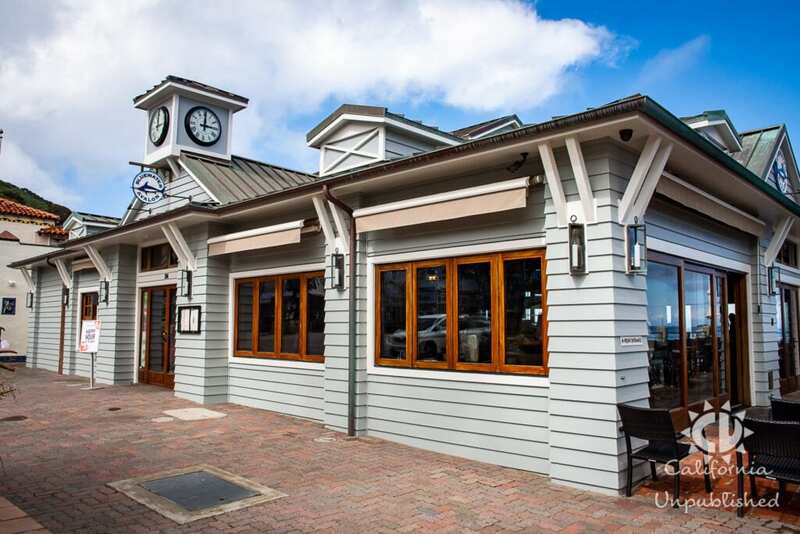 Serving the best in fresh, sustainable seafood, Bluewater Avalon strives to make the healthy option an easy choice with their selection of grilled entrees. 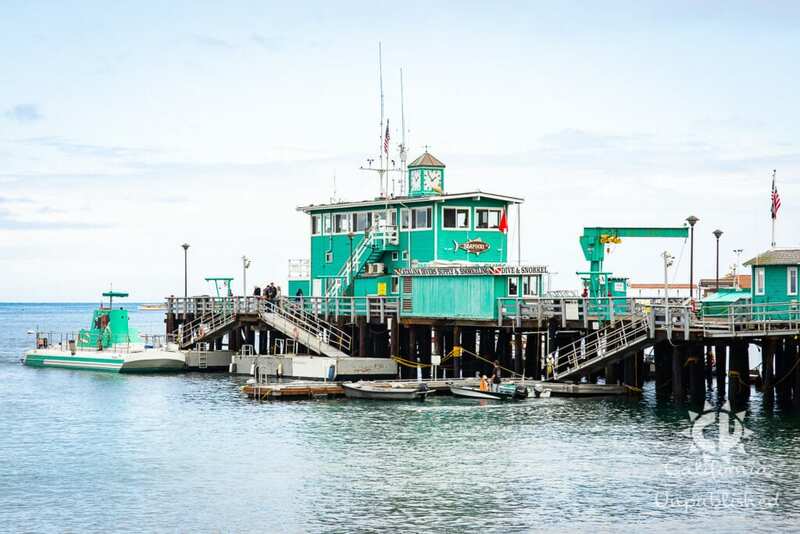 If you're like me and LOVE all things seafood, you must try their San Francisco Cioppino. 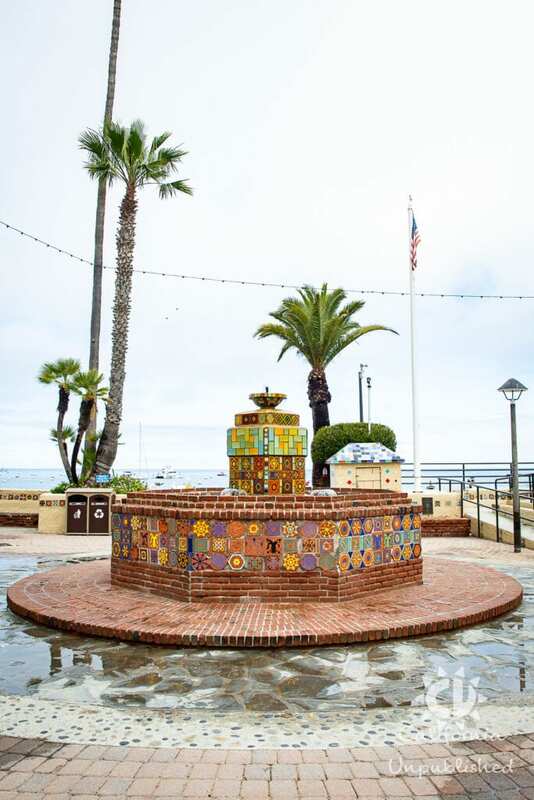 It is THE BEST Cioppino I have ever had, with a zesty marinara sauce, clams, mussels, crabmeat, shrimp, scallops, and fish. 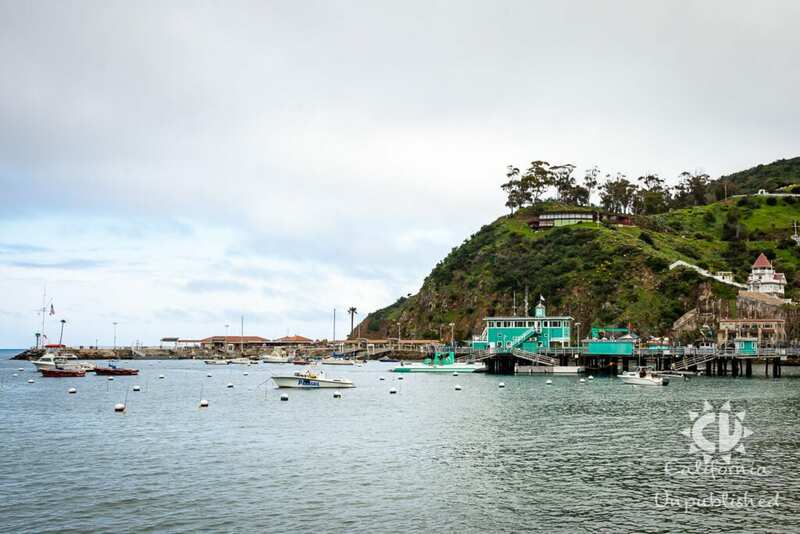 Fun fact, the owner of Bluewater Avalon sources his fish from the owner of the Lobster Trap, who fishes sustainably off the coast of Santa Catalina Island each morning. 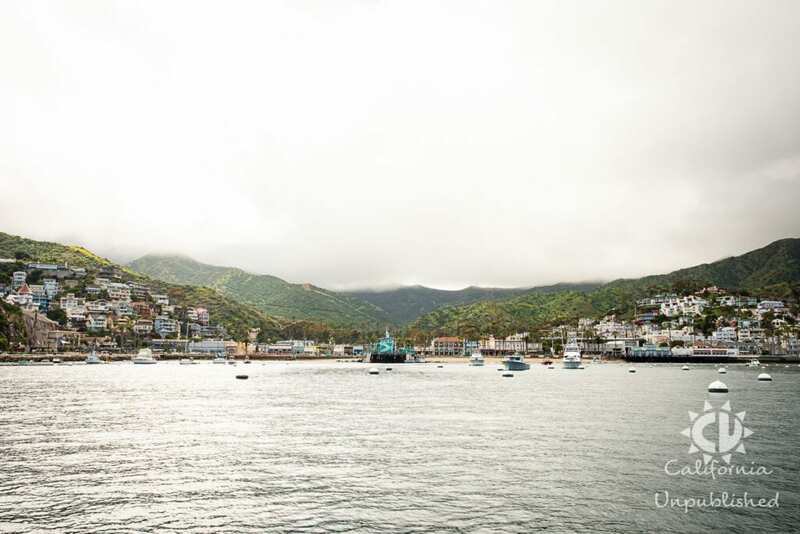 If you are a self-proclaimed foodie like myself, you don't want to miss the ample seafood options available on Catalina Island. 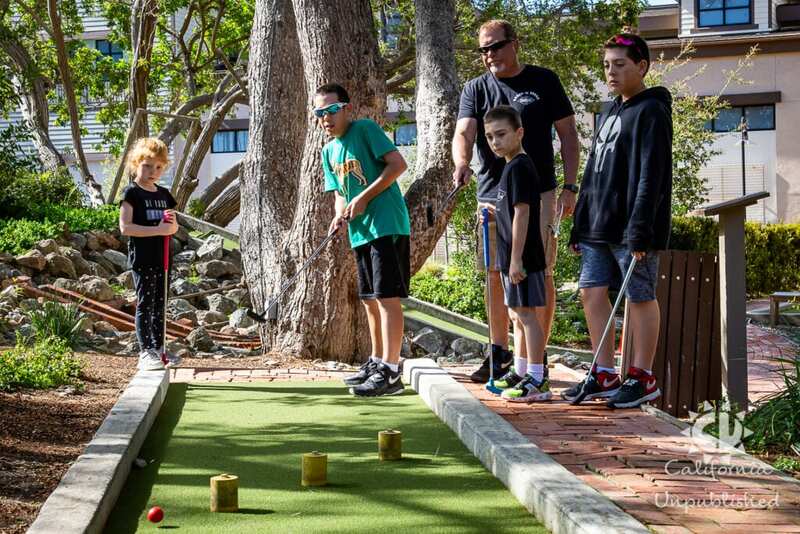 We had quite a busy morning the day we were leaving the island so we stopped by Original Jacks Country Kitchen before we headed out for a quick game of miniature golf. 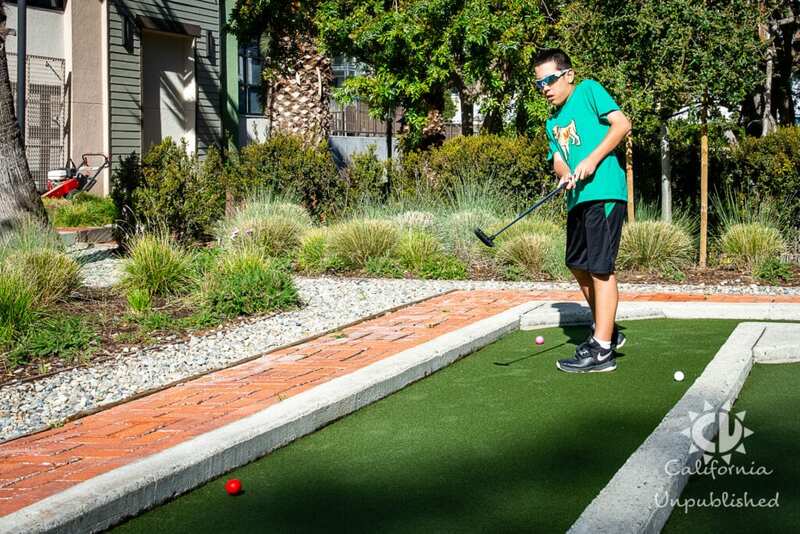 Original Jack's Country Kitchen is an old-fashioned diner with a menu of familiar classics, including hearty breakfast options, lunch, and dessert. 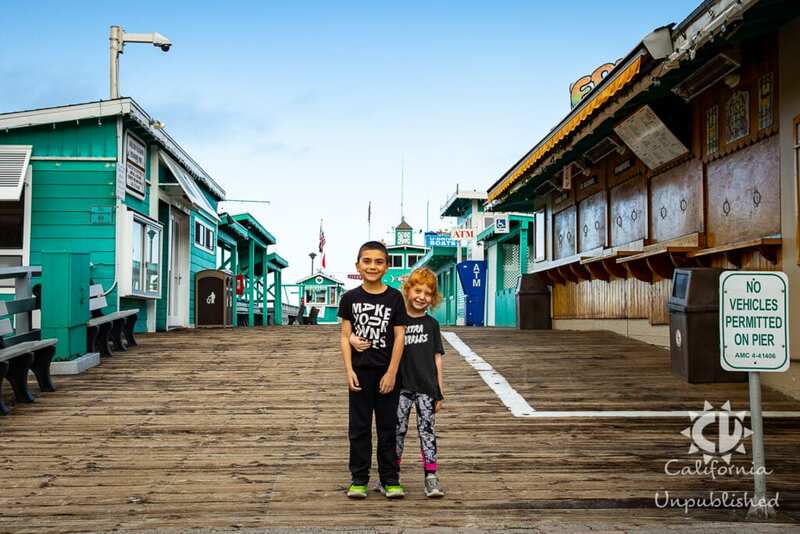 Their menu is packed full of dishes created ‘like mom used to make' to ensure you are well fueled before your day's adventures. 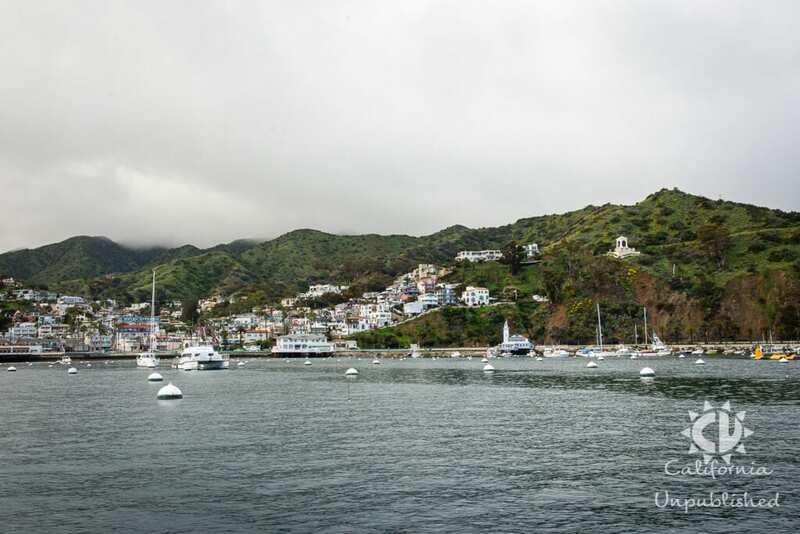 Santa Catalina Island is packed full of family adventures for kids of all ages. 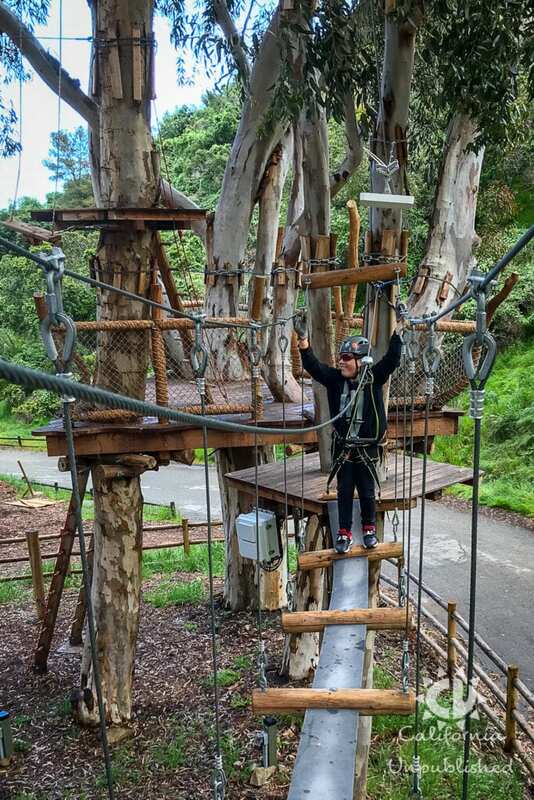 From zip lining to miniature golf, there is sure to be an adventure your family will love. 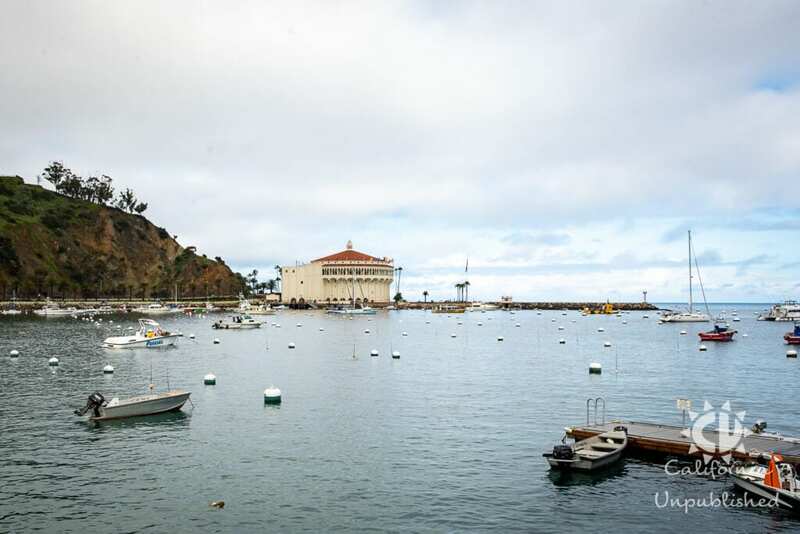 Our first adventure took Mitch, Gracie, and I on an Undersea Expedition in a semi-submersible boat five feet below the ocean surface to get face-to-face with Catalina's abundant marine life. 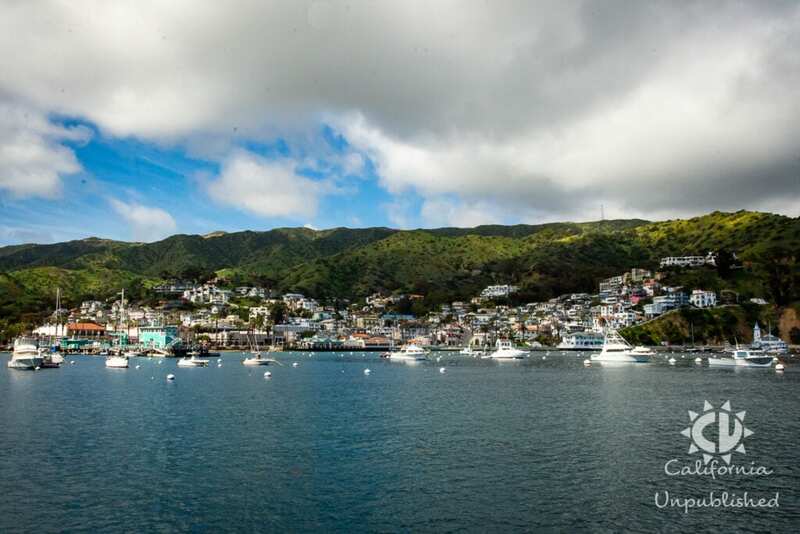 Words alone can't describe the amazing sea life we saw. 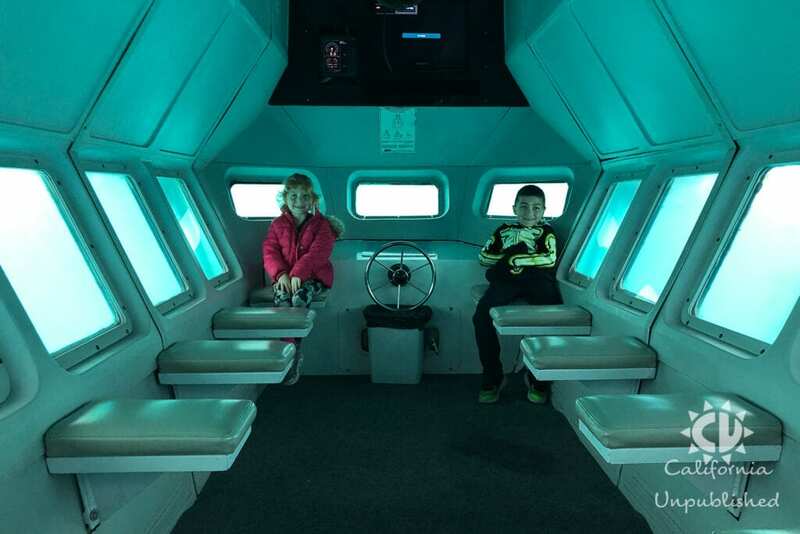 Check out the video below of some of the sea life we saw on our tour. 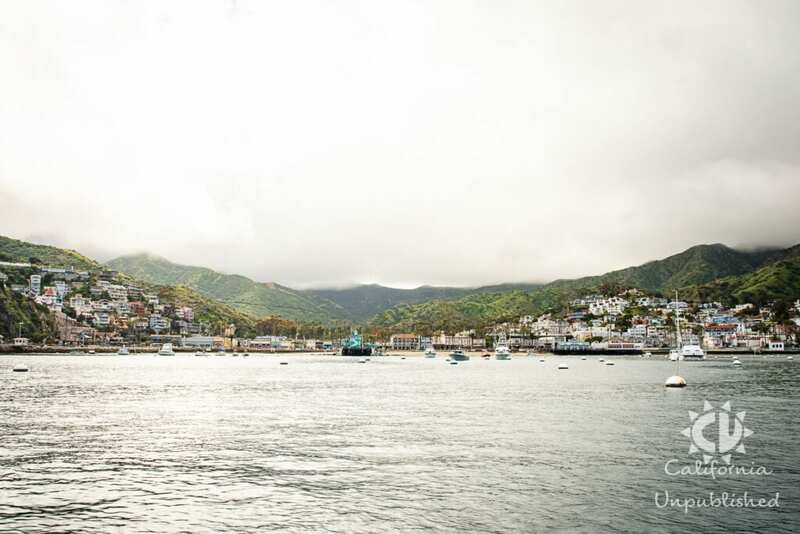 The bright gold Garibaldi fish are simply stunning and only found off the coast of Santa Catalina Island. 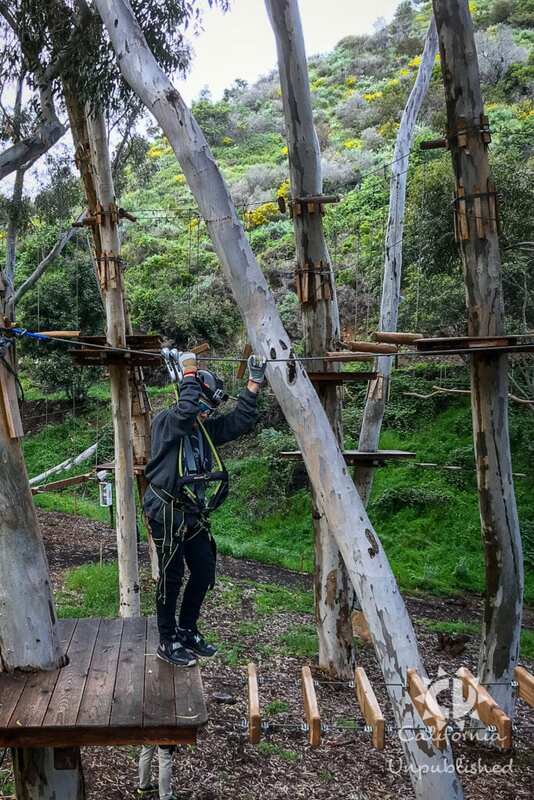 While we were on our undersea adventure, Kevin, Lewis, and my husband took to the trees at Catalina Aerial Adventure. 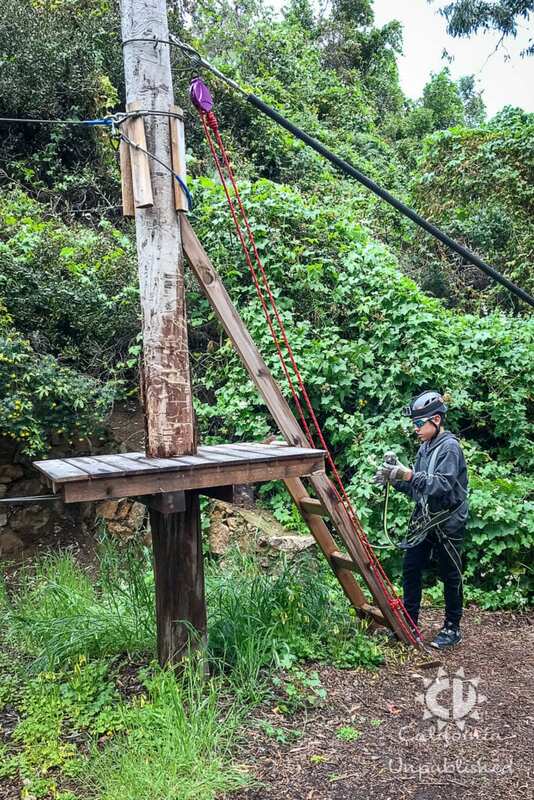 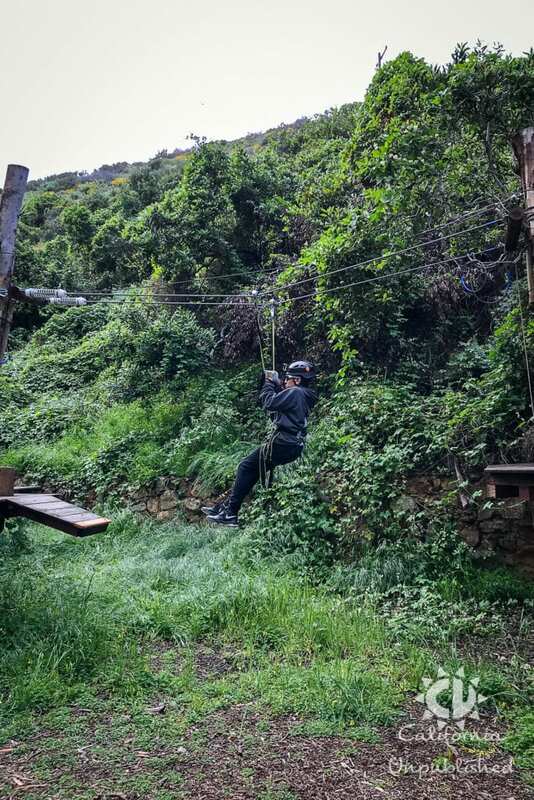 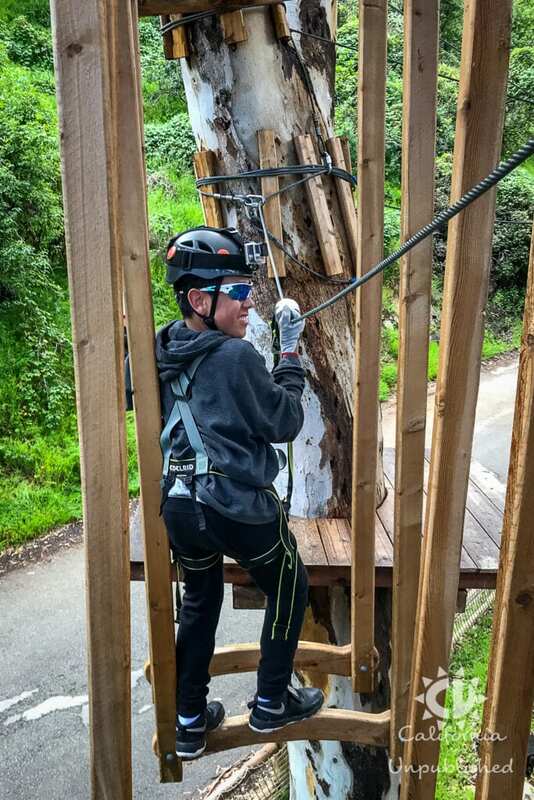 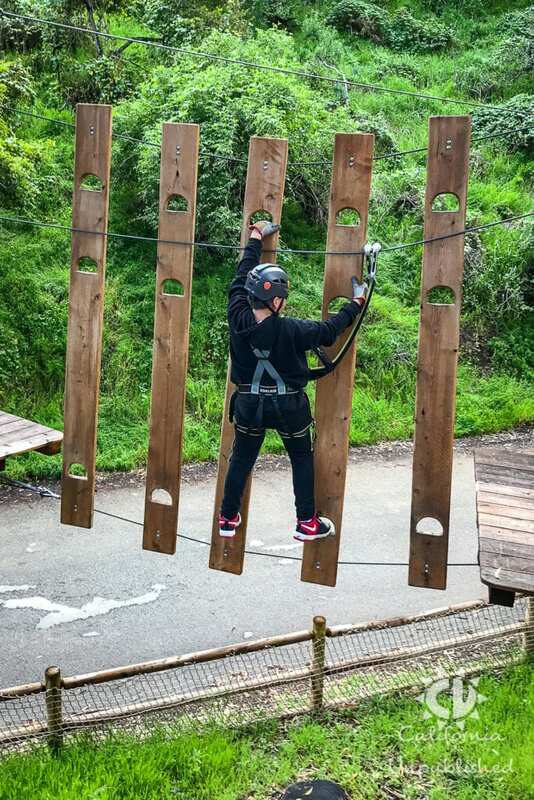 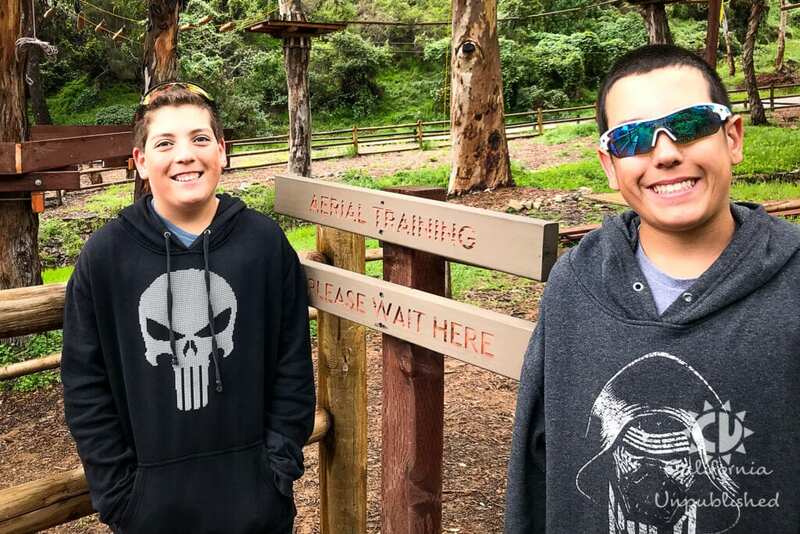 Here, they had the opportunity to rise to challenge to conquer an exciting rope course made of bridges, zip lines, and other thrilling obstacles suspended in the trees deep in Descanso Canyon. 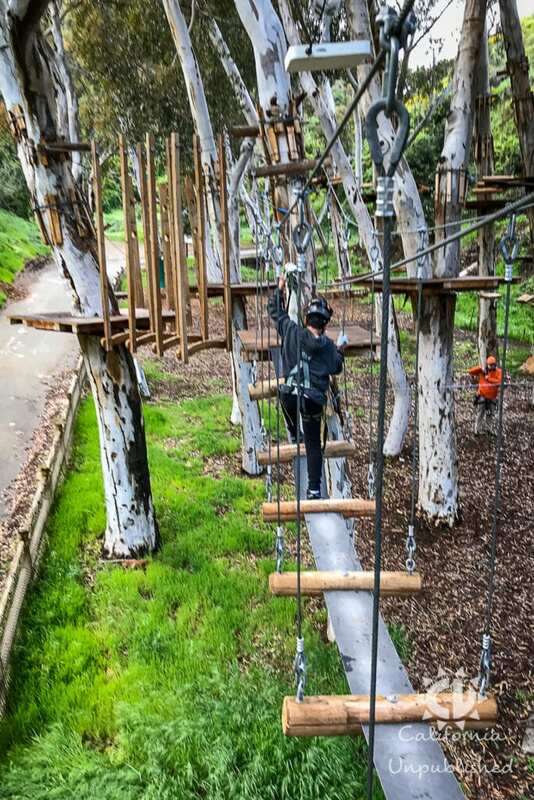 The aerial adventure includes five self-guided, self-paced courses offering a different adventure every time. 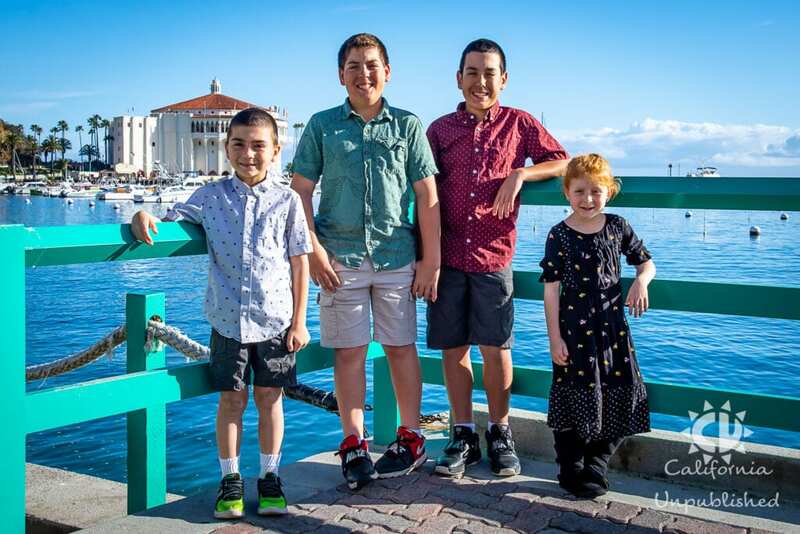 As you can see in the video below, they had an amazing time! 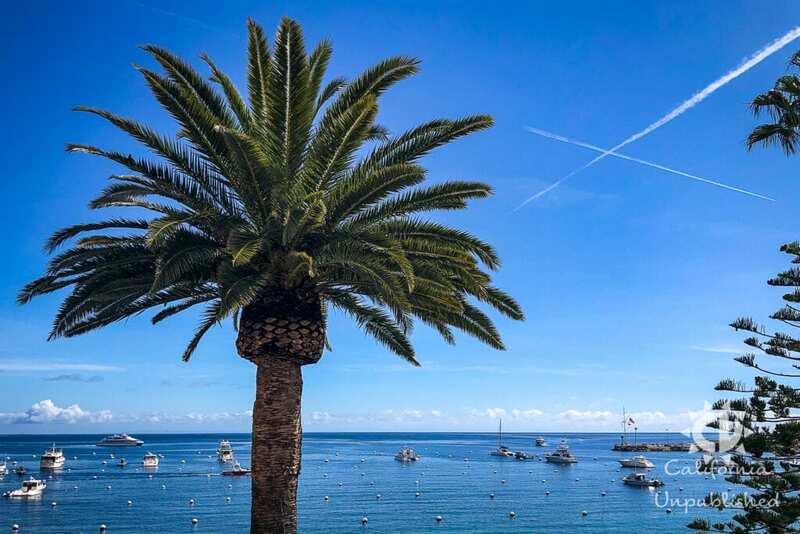 Don't miss your chance to experience Catalina from high atop a Eucalyptus tree. 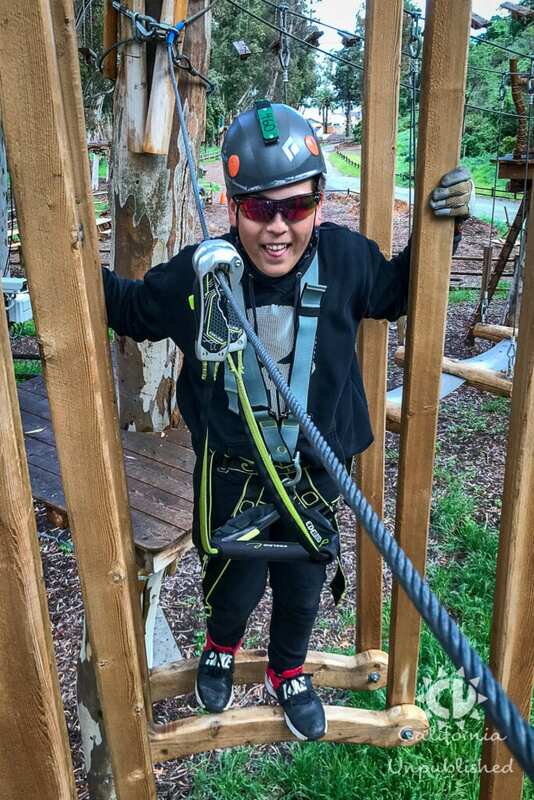 Note: Participants must be at least seven years old, and must be 55″ tall and weigh between 50 – 270 pounds. 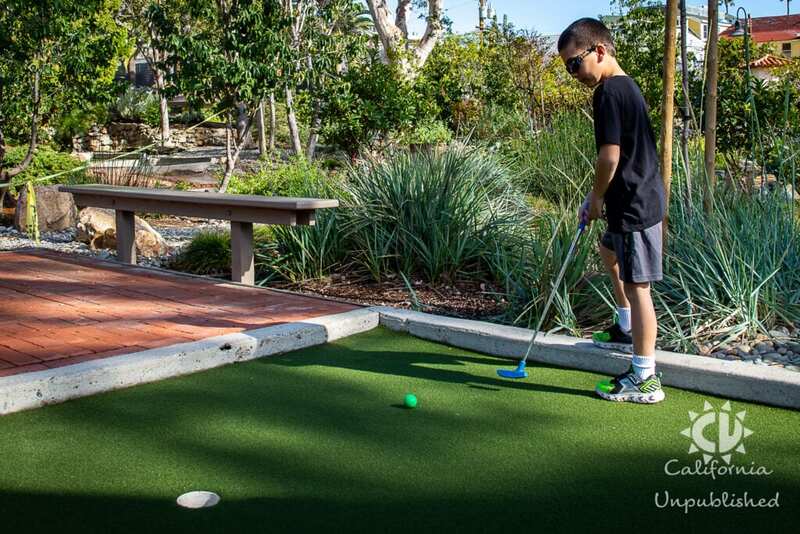 Additional restrictions may apply. 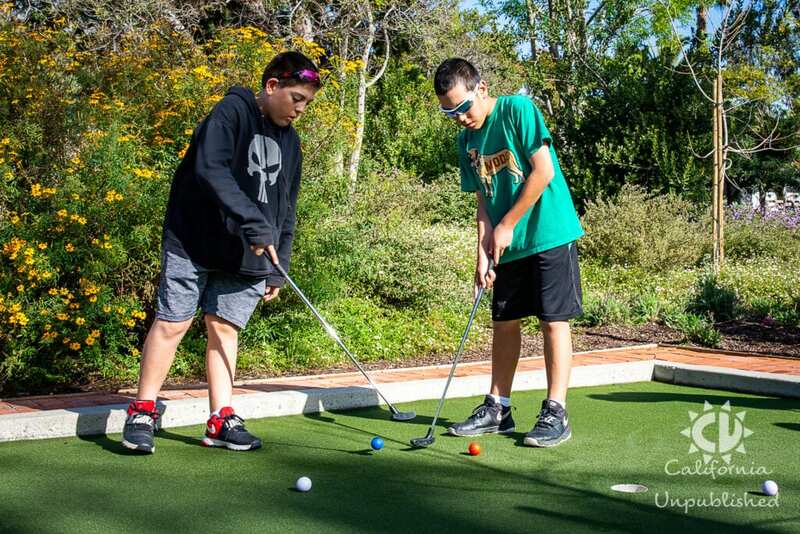 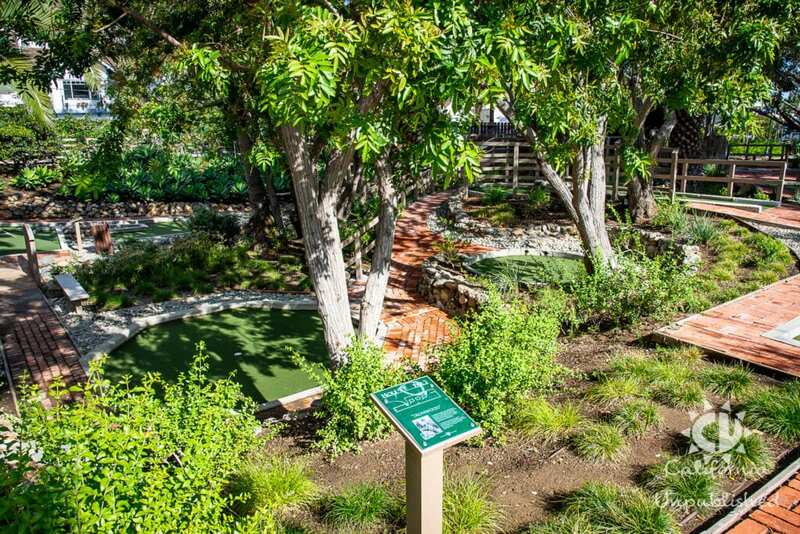 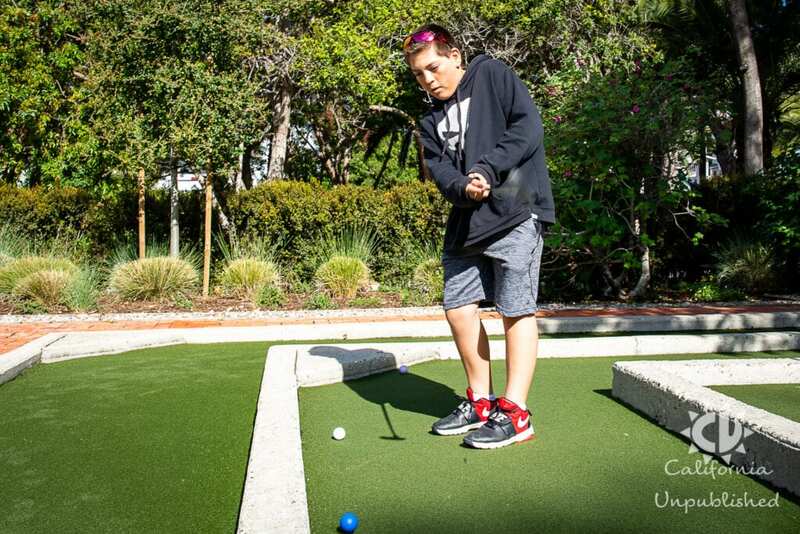 The morning we left, we decided to play a quick round of mini golf at Catalina Island's Golf Gardens. 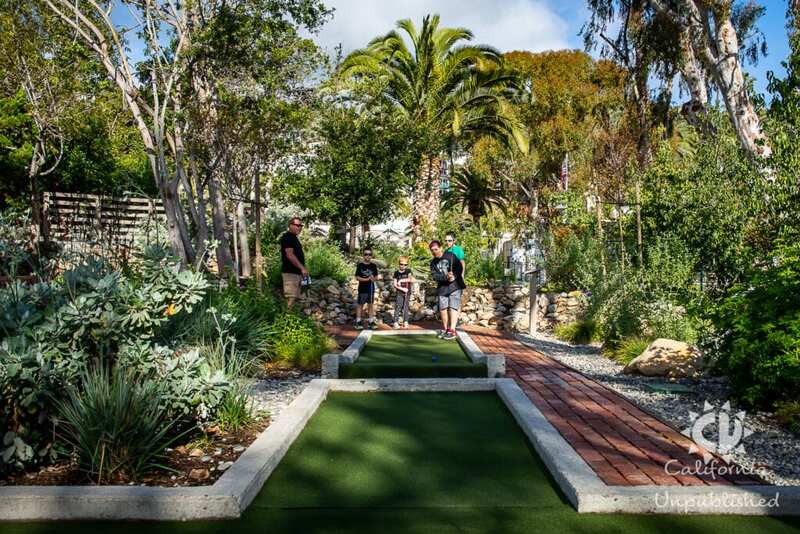 This unique 18-hole golf course has been a much-loved fixture on the island for nearly 40 years, and is one of the most beautiful courses we have ever played on. 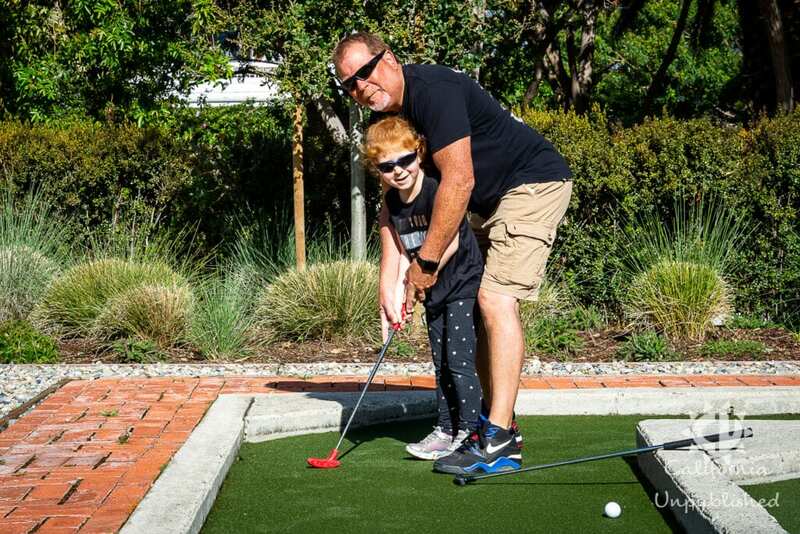 Even though we had no chance of coming anywhere close to the par, we took delight in an early morning of family bonding and laughs before heading home for the day. 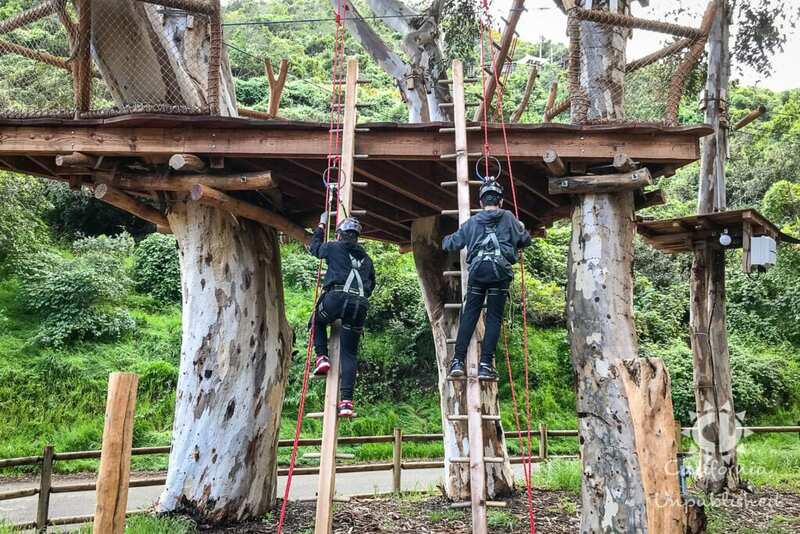 While these are just a few of the family activities available on Santa Catalina Island, there are many more tour options available for families of any activity level. 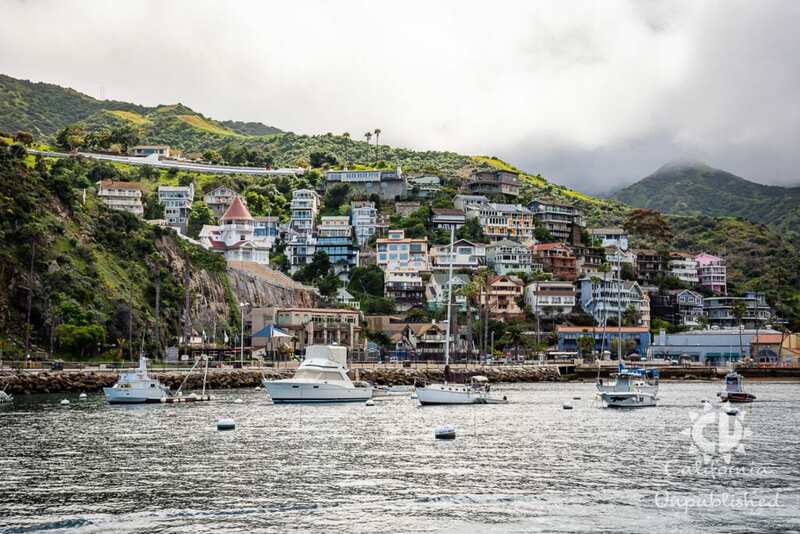 Here are a few of the family activities topping our bucket list when we return to Santa Catalina Island this summer. 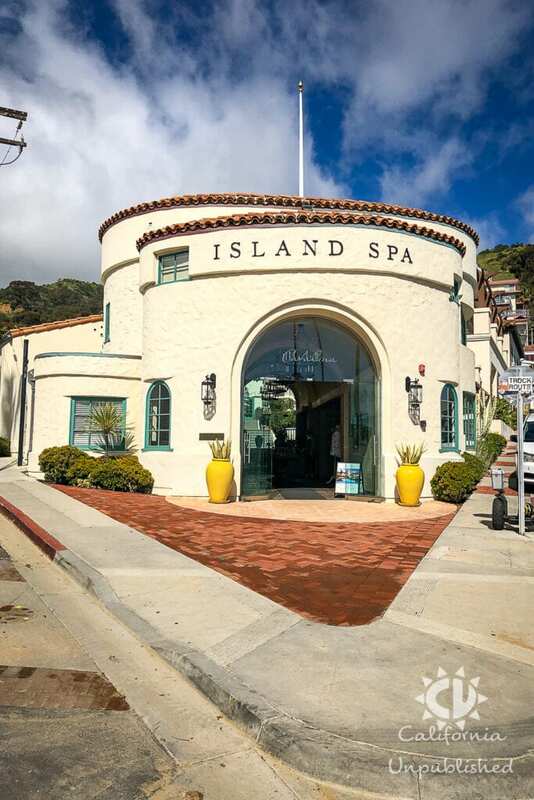 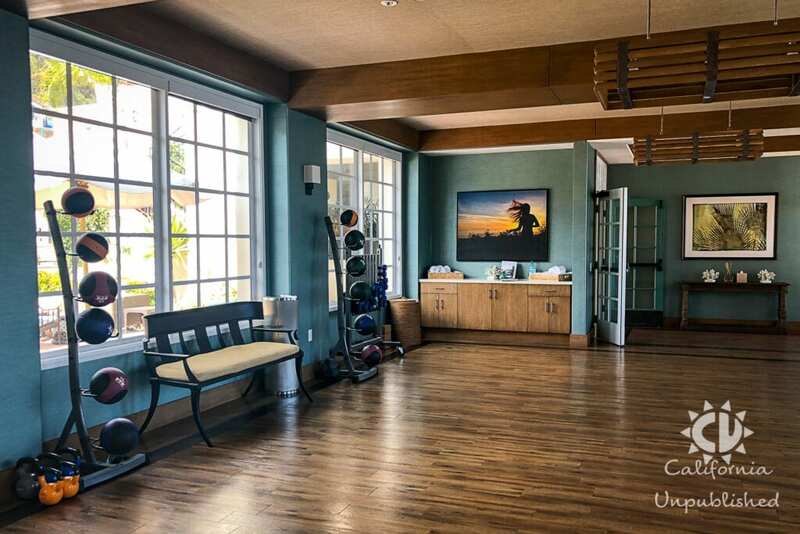 And for me, I may escape to the Island Spa, Catalina Island's first ever destination resort spa, on my own to refresh my mind, body, and spirit. 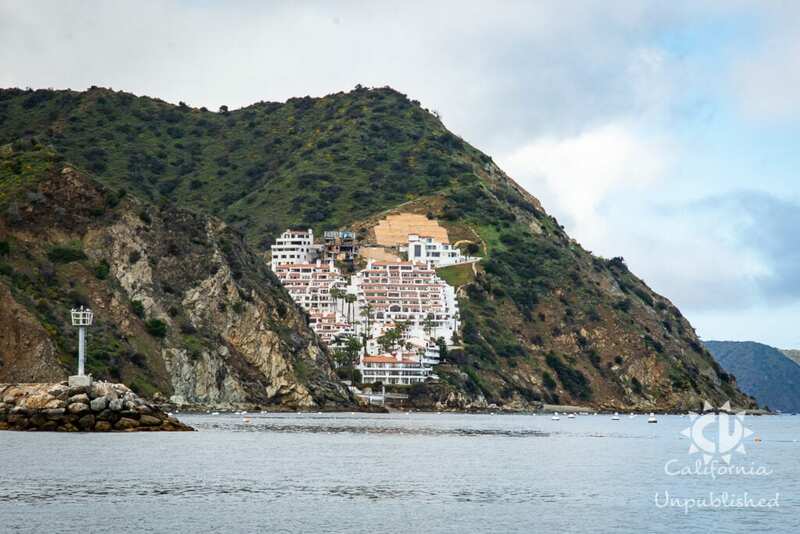 We hope that you have enjoyed following our adventures on Santa Catalina Island. 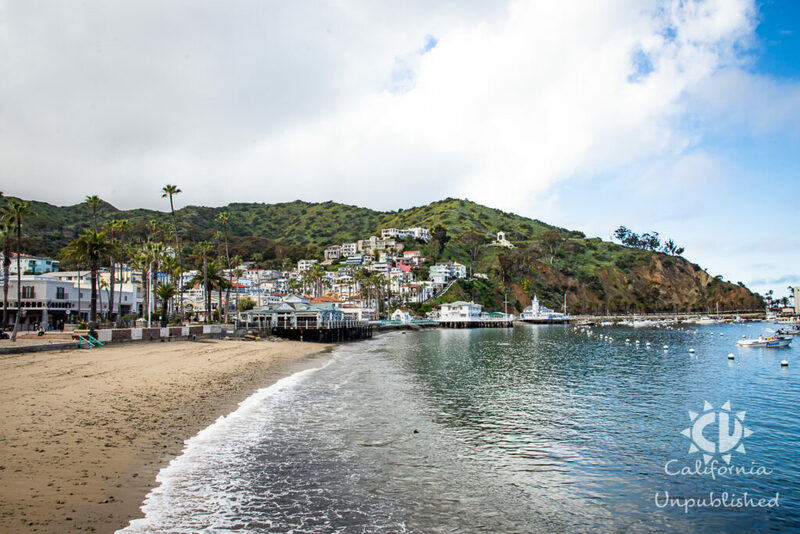 For even more on our ultimate family adventure getaway, check out our #Catalina highlight on our Instagram page and book your family-friendly adventure to Santa Catalina Island today!